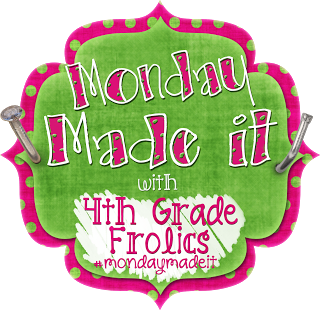 So, today's Made It Monday linky party hosted by 4th Grade Frolics has a Pixar theme. 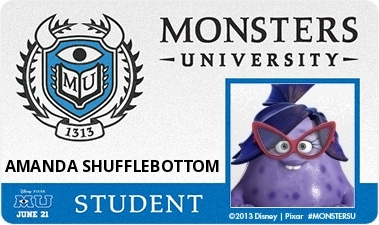 First, I wasted some time today creating my own Monsters Inc. Monster from Disney's Website. You can go here to create a monster of your very own! It'll even help you generate a name for your monster. Mine is Miss Shufflebottom! Isn't it too cute? I love my awesome glasses and purple complexion! 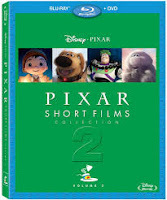 On a somewhat more serious note, I've been working on a bundle of worksheets that can be used with the Pixar Short Films (Volume 1 or Volume 2). Even though they're not quite finished, I wanted to share the start with everyone! There are lots of links on Pinterest of teachers using the videos to teach everything from inference, character traits, theme, summarizing, etc. I've been using the videos during summer school to model key reading strategies and it's been hard to find actual handouts to go with the lesson plans online...therefore, I'm slowly and surely creating my own versions. I've started creating a handout for character traits since we've been working on that this week during summer school. Here's what I have so far.... (I'm also trying to find some better clipart but that's part of the "in progress."). I'm hopefully going to be adding a sheet for predicting/inferencing, summarizing, learning about characters through dialogue, and theme to go with the bundle. A teacher I work with put together a theme handout and the students LOVED watching the videos to model the concept of theme. If you get a chance, grab copies, they are wonderful additions to your classroom library. If you click the pictures you can go check them out on Amazon.com! Any other reading strategies I'm forgetting to include? This year my 5th's graders voted that "For the Birds" was by far their favorite "short." They also enjoyed the shorts of "Lifed" and "Presto." I'm hoping to incorporate more Pixar Shorts into summer school this week. I think we are going to do a "shorts" writing project in which they need to a short summary about the video using "Somebody...Wanted...But...So...Then" and then decorate a pair of summer time "shorts" for the main character. Hope everyone had a great weekend! Can't wait to see everyone's Made Its! What a terrific idea! 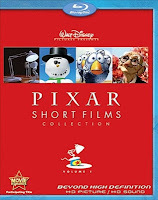 I didn't even know Pixar made their shorts into collections like this. I am pinning your blog post for the fall so I don't forget this. Thanks so much for the great idea! So clever! I didn't know this about Pixar films either. I'm sure your kids will really enjoy this product. OMG - my personal kiddos are going to love this! Thanks! Where can I find you completed Pixar bundle? Did you ever finish your bundle? If so, is there a place to find it? Thanks! I too am looking for the completed bundle if you finished it. Thanks!